Customer engagement is crucial to your blog’s growth and success. Not only does it allow you to build long-lasting relationships with your customers but it also allows you to learn about their preferences that you can use to improve your marketing strategy. In today’s article, I run down 18 customer engagement tools to help you initiate and maintain meaningful interactions with your customers. Businesses and brands worry about customer engagement, and if you’re serious about monetizing your blog, you should consider incorporating it in your blog, too. Customer engagement is the emotional connection between a customer and a brand; in this case, your blog. It’s critical to the success of a business because customers tend to choose to go with brands or businesses that treat them better, and highly engaged customers tend to spend more money in those businesses compared to less engaged ones. In today’s blog post, I go through customer engagement tools that you can incorporate in your blog to help you organize a customer engagement strategy for your blog. Customer engagement begins with listening in to your customers. Learning about your customers allows you to get to know them; their likes, dislikes, goals, and what problems are hindering them from achieving their goals. Knowing your customers’ needs and preferences gives you the knowledge to do better keyword research, write better-suited content for them, and create or offer products and services that are the right fit for them. 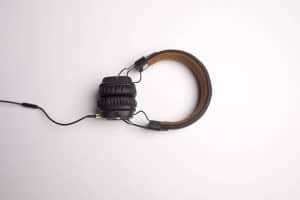 Here are some customer engagement tools for listening to your customers. Analytics software gives you information on where they come from, where they heard of your blog, what they do while on your blog, and how long they spend on your blog before they exit. But their behavior on your website is up for your interpretation. You can learn which aspects of your website they like, don’t like, and are neutral on. Here are some analytics tools that you can use on your blog. This free tool is a classic; anyone who’s ventured into blogging or digital marketing is familiar with Google Analytics. It measures how many times the pages in your website were viewed (pageviews), how long customers stayed in each page (time on page), what percent of customers exit after viewing just one page (bounce rate), how many pages they view per visit (pages per session), how many individual customers visited your website in a certain period of time (unique visitors), and how many of them are returning to your blog (new vs returning visitors). It also measures how many of your website visitors do an action that you want them to do (conversion rate). This action can be anything you set, such as subscribing to your mailing list, submitting a form, or downloading a freebie from your site. 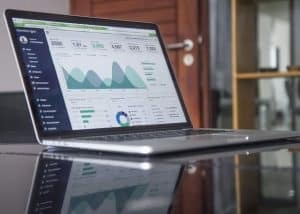 Because it tracks so much, using Google Analytics can be a bit overwhelming if you don’t know what the data means and if you don’t know what to look for. But there are plenty of free resources to help you make sense of the data. Google Analytics Academy is a good place to start. As I’ve said, the Google Analytics dashboard may be a bit overwhelming. Statcounter offers a simple dashboard where you can see all the important information at a glance. The free version can show basic data for up to 250,000 monthly page views, so it’s a good plan to start. However, you do get ads in exchange for getting the information for free. From $9 a month, you can get the ad-free version as well as additional features and data. Measuring the time customers spend on your site is useful, but there’s a difference between simply having a page open and actually reading the content. This is where heatmaps come in. Heatmaps are visual representations of which areas of your pages get the most attention by measuring where visitors’ mouse cursors hovered the most or how far visitors scrolled down a page. They give you an idea whether your customers are indeed scrolling and going over your content. Clicky offers all the basic analytics in their free plan, and heatmaps in their Pro Plus plan ($14.99 per month). It’s not cheap, but heatmaps give you more valuable information than what basic analytics can offer. Web analytics tools give you information on how your visitors interact with your website. When you’ve interpreted this information and found out your visitors’ preferences, it’s up to you to make changes to your blog to improve customer experience. Every change you make to your website should be based on data; each time you hypothesize that tweaking an element in your website will improve one of your metrics, you should always test that hypothesis first before you implement that change permanently. Here are some testing tools you can use to split test pages in your website. If you’re already using Google Analytics, you might as well Google Optimize, which is a free testing tool natively integrated with Google Analytics. This integration gives it an edge over other testing tools because it enables you to apply your knowledge from the analytics data instantly to your website. Google Optimize allows A/B testing your website’s content for you to learn what works best for your visitors. While Crazy Egg is more known for its heatmaps and user recordings, this tool also offers simple, unlimited A/B testing that’s quick to set up. It’s free for up to 5,000 visits per month, and premium plans start at $29 per month. If you have a WordPress blog, you can use the Simple Page Tester plugin for a fuss-free way to start testing your pages. Plus, it’s analytics tool is compatible with Google Analytics, if you’re already using that. Analytics will tell you what your customers are doing and how they’re behaving on your site, but user feedback tools, specifically surveys, gives them the opportunity to tell you what they think themselves. The challenge is asking the right customers the right questions at exactly the right time, without disrupting their experience too much. You’ll want to ask new customers different questions from old or recurring customers. For instance, you’ll want to ask new customers their first impressions of your website, and you’ll want to ask old customers which aspects of your websites they like the most and which ones they dislike the most. Customers are also more open to answer questions when you ask them in ways that are integrated into ways that they’re already engaged with you. For instance, if you’re already sending them email newsletters, you can integrate survey questions into your emails. If analytics prove they read your articles all the way to the end, you can include survey questions near the end of your articles. 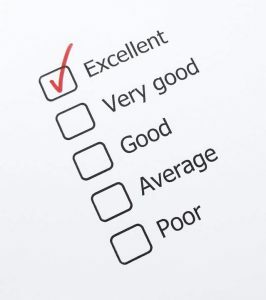 Here are some user feedback tools you can use to gather information from your website visitors. SurveyMonkey is probably the most popular survey tool in the market. It’s a survey tool that helps you formulate professional-looking surveys with their numerous customizable templates and questions. Freeform answers are also allowed, so if you need a little more information than a multiple choice question, they can give you more substantial answers. Their free basic plan offers unlimited surveys, with 10 questions per survey. Their paid plans allows more flexibility and features. A suitable alternative to SurveyMonkey is SurveyGizmo. It gives you options to collect responses through email, social media, and through your website by embedding it. Their free plan offers 3 surveys with unlimited questions and up to 100 responses. Question formats are also limited. Paid plans allow unlimited surveys, unlimited questions, and unlimited responses, as well as unlimited question formats. 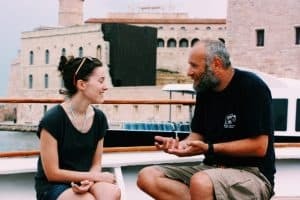 Conversational data collection is what TypeForm is known for. Although their templates or “typeforms” can be applied to various other customer interaction tools, such as contact forms, quizzes, and even event registration, feedback and survey forms are still their most frequent applications. Their free plan offers 10 questions per typeform and 100 responses per month, as well as integration with Google Sheets. Customer engagement goes both ways, and listening to your customers is just one aspect of it. The other aspect is talking to them. Starting a conversation with your customers by speaking to them directly inspires trust and convinces them to open up to you with their needs and their preferences and sometimes even their information. Here are some customer engagement tools for communicating with your customers. Almost any website for an app or a business has a live chat feature. Customers like it when they can talk directly to businesses and tell them what they think. They not only expect a speedy reply, they also expect a personal one. Live chat software are often used to provide chat support for users needing help with the website, but don’t discount it for use to converse with your customers. Here are a few live chat tools you can use on your website. Intercom is a popular live chat tool that offers automated messages for frequently asked questions, a wide variety of integrations, and mobile apps, enabling you to reply to your customers even through your smartphone. Intercom also offers data about your visitors, such as where users who message come from and what page they were on when they messaged you. However, these features and more don’t come cheap. There’s a 14-day free trial, but plans after that start at $49 per month. It’s been touted as the main alternative to Intercom that has a free plan. However, Drift has been reported to cause loading problems for some websites. Drift’s free plan provides basic live chat functionalities and allows you to save up to 100 contacts. Paid plans start from $50 per month and provide more features such as saved replies and more customer contacts. As the relatively new player on the block, Crisp provides a suitable alternative to both Intercom and Drift. Their free plan offers basic live chat functionalities and real-time notifications of incoming messages. Paid plans start at $25 per month, with additional features such as canned responses, email and Facebook messenger integrations, and event-triggered messages, like a welcome message for first-time visitors on the homepage or an invitation to view a related article for an important blog post. Push notifications on customers’ internet browsers are an instantaneous mode of direct communication between a website and its visitors. They appear as clickable messages on visitors’ web browsers when they go on to your website, and they can appear as tappable messages on your mobile device. With push notifications, you can send direct messages to your visitors and those who subscribe to your notifications on various devices, browsers, even when they’re not online. This has plenty of uses, such as providing an opt-in for visitors who are interested in subscribing to your mailing list, alerting your customers every time you have a new blog post to drive traffic back to your website, or informing them about a new product or a special offer, if you’re selling products on your website. Here are some push notification tools you can integrate in your website. PushCrew is one of the more popular push notification tools available. You can customize push notifications with images and CTAs, even their name. They also offer scheduled notifications and the ability to A/B test your push notifications so you can choose the more popular one. PushCrew is free for up to 2000 subscribers of notifications and offers desktop push notifications. 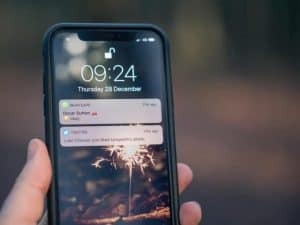 Paid plans start at $35 a month for up to 5000 subscribers, with desktop and mobile push notifications; that is, mobile users can get notifications on their phone. PushEngage is an alternative to PushCrew that offers similar features, such as customization and event-triggered notifications. PushEngage also offers a geo-segmentation feature, enabling you to personalize your messages based on subscribers’ locations. 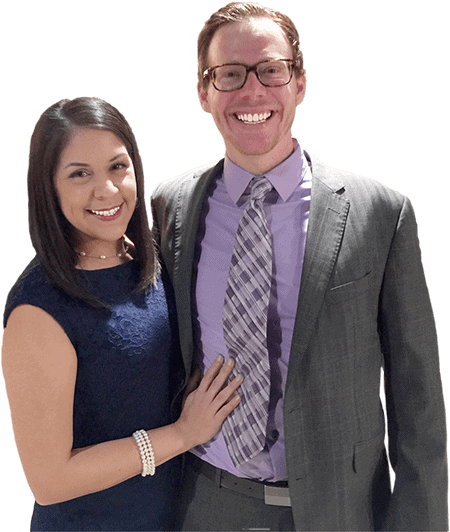 PushEngage is free for up to 2500 subscribers, plus 120 notifications and 5000 clicks per month. Paid plans start at $29 a month for up to 5000 subscribers and unlimited notifications and clicks per month, plus advanced analytics. OneSignal is yet another alternative to PushCrew that offers web and mobile push notifications. They offer similar features such as customer segmentation and A/B testing. They also allow you to schedule automatic notifications for any new blog post; once your blog post goes live, your subscribers get notified automatically. They also offer an email composer, with free templates you can customize to match your website’s look and feel. It integrates with email providers Mandrill, Mailgun, and SendGrid. OneSignal is free for up to 30,000 web notification subscribers. Paid plans start at $99 a month for unlimited web notification subscribers and plenty of additional features, such as time-triggered notifications. A crucial step in customer engagement is creating a comfortable environment where your customers can interact with you. Your social media accounts are an accessible venue for customers to comment and for you to reply back directly. Consistently posting and replying to comments on your social media accounts gives the impression that you’re open to interacting with your customers. Plus, you can learn a lot by knowing which customers comment on which social media posts. You get a sense of their preferences and what content they’re likely to react to, whether positive or negative. Here are some social media tools you can use to boost your customer engagement. Hootsuite is one of the most widely used social media management platforms. It’s designed for businesses of various sizes to be able to manage their social media profiles and execute social media strategies. They offer scheduled updates, the ability to reply to comments directly in the application, and monitoring your progress with analytics. They support a wide range of social media networks, including Twitter, Facebook, Instagram, LinkedIn, Pinterest, and YouTube. Hootsuite also provides social media marketing courses and certifications via the Hootsuite Academy. Hootsuite’s free plan lets you manage 2 social profiles in one place and schedule 30 messages at a given time. But the helpful features you want, such as automated post scheduling, analytics tools, plus managing 5 social profiles, are only available on their paid plans that start at $19 a month. Buffer is another popular social media management platform that’s been said to be comparable to Hootsuite in terms of the features they offer but a bit easier to use. Buffer supports Twitter, Facebook, LinkedIn, and Instagram. Aside from these features, Buffer also offers a graphics creator called Pablo that allows you to quickly create engaging images for posting on social media. You can overlay text on various stunning images, and you can even crop the pictures to different sizes to maximize their display in different social media sites. Buffer’s free plan lets you manage 3 social profiles in one place and schedule 10 messages at a given time. Their paid plans start at $15 a month, allowing you to manage 8 social profiles and schedule 100 messages at a given time, as well as access to basic social analytics tools. Zoho Social is yet another alternative to Hootsuite and Buffer that is designed for startup to medium businesses as well as marketing agencies with multiple business clients. Zoho Social supports Facebook, Twitter, LinkedIn, Google My Business, and Instagram. 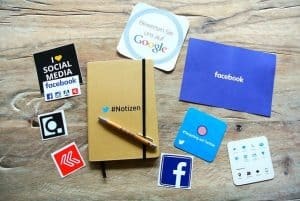 Zoho Social’s free plan lets you manage social media accounts for 1 brand/company, so in the case of a blog, it lets you manage one set of social media accounts for your blog. It also allows you to publish social media content from the Zoho dashboard and access basic analytics. But only Zoho Social’s paid plans, starting at $15 a month, offer the features that you want, such as scheduling posts in advance when your followers are most likely to see them, lay out a publishing calendar, scheduling posts in bulk, and creating customized reports. Customer engagement involves meaningful interactions between you and your customers. Having an organized customer engagement strategy enables you to interact with your customers efficiently and obtain as much information as possible from your customers. Here’s a recap of the customer engagement tools that I mentioned above. Before you go forth and work on customer engagement, here are a few more reminders. Customer engagement goes both ways. Before the rise of the internet and social media, customers didn’t speak until spoken to by businesses; they’d only give their feedback when businesses approached them. Now, customers are active participants in the conversation. When they like or dislike something, they’re free to post it on their social media or blogs. You can treat it as the start of a conversation and turn it into a relationship or ignore it and risk alienating that customer forever. Customer engagement is a two-way street, but the responsibility for keeping the conversation going is yours. Tools can never replace human interaction. Tools help you organize a strategy, but the way you deal with your customers is more important than any digital tool. Treat your customers with empathy and respect, and be open and honest in your interactions with them. Genuinely care about their problems and struggles, and look for ways to help them solve these. That’s the way to earn their loyalty and affection. 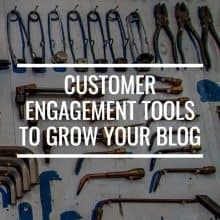 What customer engagement tools are you currently using for your blog? Share them in the comments!